A parish church (or parochial church) in Christianity is the church which acts as the religious centre of a parish. In many parts of the world, especially in rural areas, the parish church may play a significant role in community activities, often allowing its premises to be used for non-religious community events. The church building reflects this status, and there is considerable variety in the size and style of parish churches. Many villages in Europe have churches that date back to the Middle Ages, but all periods of architecture are represented. 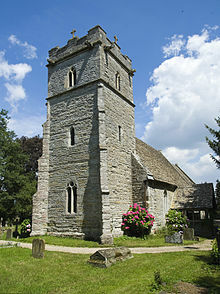 In England, the parish church is the basic administrative unit of episcopal churches. Nearly every part of England is designated as a parish, and most parishes have an Anglican parish church, which is consecrated. If there is no parish church, the bishop licenses another building for worship, and may designate it as a parish centre of worship. This building is not consecrated, but is dedicated,[clarification needed] and for most legal purposes it is deemed to be a parish church. In areas of increasing secularisation or shifts in religious belief, centres of worship are becoming more common, and larger churches are sold due to their upkeep costs. Instead the church may use community centres or the facilities of a local church of another denomination. While smaller villages may have a single parish church, larger towns may have a parish church and other smaller churches in various districts. These churches do not have the legal or religious status of 'parish church' and may be described by a variety of terms, such as chapel of ease or mission church. Often the parish church will be the only one to have a full-time minister, who will also serve any smaller churches within the parish. In cities without an Anglican cathedral , the parish church may have administrative functions similar to that of a cathedral. However, the diocese will still have a cathedral. In the Catholic Church, as the seat of worship for the parish, this church is the one where the members of the parish must go for baptisms and weddings, unless permission is given by the parish priest (US 'pastor') for celebrating these sacraments elsewhere. One sign of this is that the parish church is the only one to have a baptismal font. The Church of Scotland, the established Presbyterian church, also uses a system of parish churches, covering the whole of Scotland. In Massachusetts, towns elected publicly funded parish churches from 1780 until 1834, under the Constitution of Massachusetts. Toward the end of the 20th century, a new resurgence in interest in "parish" churches emerged across the United States. This has given rise to efforts like the Slow Church Movement and The Parish Collective which focus heavily on localized involvement across work, home, and church life. ^ "Slow Church blog". Retrieved 2014-07-07. ^ "Redefining the Parish Model". Retrieved 2014-07-07. This page was last edited on 19 January 2019, at 20:06 (UTC).